Looking at the document LuaTeX generates for that input, we see that someluatex() is run before the Tex backend does anything with the output: the PAR!s will be inserted before "one" and "two", as well as after "three". If everything is in order, the Lua will resume after the Tex is processed. This is not ideal, however: we must ensure that the TeX backend is in the right state to understand the \directlua command, which may not always be the case. Short answer: You have no other choice but using some kind of directlua/coroutine trick. Longer answer: It doesn't work that way if I am correct. I can show a trick I have been using for quite some time (you mention the coroutine, so you might already use that, but for the record I'll write it down here). The problem is, as is pointed out in the question, that LuaTeX (the TeX side) does not execute the \directlua "command" until the closing brace }. This soon gets ugly, because the control flow is still on TeX's side. If you need more and more Lua code, you want to have something like a directtex("...") function from Lua. There is none, but you can us the mentioned trick with coroutines to do this. coroutines is a programming concept in Lua (and other languages) which lets you jump forth and back between two places in a program. So the idea is: jump into the Lua code, and go back when you need TeX and immediately go back to your Lua code where you were before. The heart of this is the TeX-loop around the coroutine.resume and tex.sprint(). To jump out of this infinite loop, I have this new boolean continue. Now you have the control flow on the Lua side of your program and you can choose to go back to TeX whenever you need to. Just end your program with directtex("\\continuefalse") and the loop will end. Not the answer you're looking for? 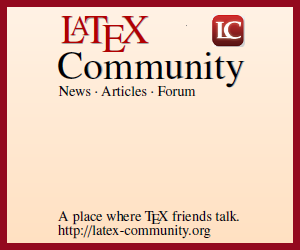 Browse other questions tagged luatex expansion or ask your own question. How to suppress a line completely from a LuaTeX process_input_buffer callback?